We’re happy to announce the next Sands of Time implementation that Blizzard never published: City Protectors. If the PvP stage is active enough each week, 8 players will be granted the title of “City Protector”, and assigned each of them to their major city. 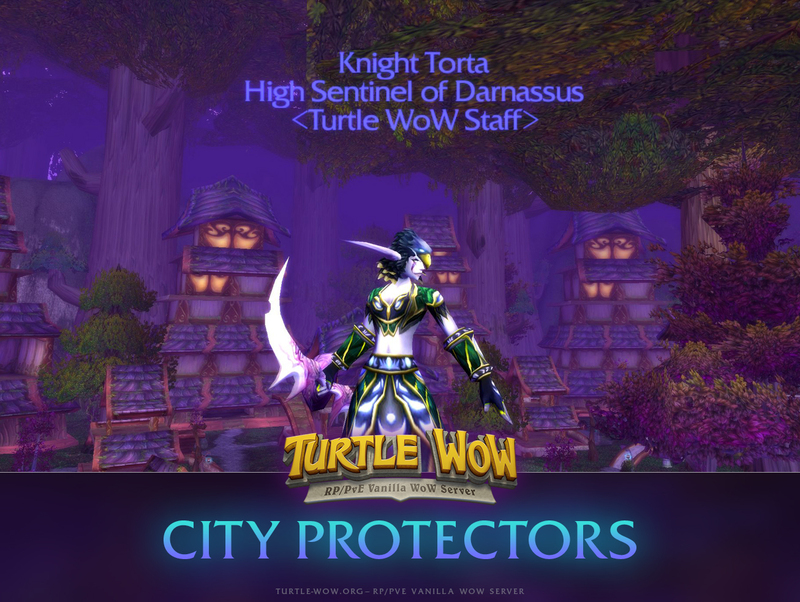 City Protectors will receive in-game mail with City Protector’s Scrolls, allowing them to teleport to their homeland, with a cooldown of 60 minutes. This scroll and title will last for one week and allow the City Protector to use a spell to teleport themself to their race's major city, just like a second hearthstone. In addition, starting with tonight's server restart, BG requirements have been lowered to 1vs1 for WSG, 2vs2 for AB and 5vs5 for AV. Awesome addition to the game experience, great job. Interesting. I hope to see more people interested in PvP finally. Hi. This is unexpected but relatively cool. I haven't heard about these ranks ever in my life. You guys are doing a great job bringing these old discontinued features to life. this is actually very very impressive, such is shame that we don't have active pvp guilds. hey turtles, good job. it's not 17th yet but I've already seen someone carrying the rank of Protector of Stormwind, looks interesting.